We are thrilled to reveal that our 2019 Charity of the Year is Womankind Worldwide. Womankind Worldwide is a global charity dedicated to supporting women's movements around the world. The organisation works in solidarity and partners with women’s rights organisations and movements in five focus countries to ensure women’s voices are heard at a local, regional and global level. Womankind directly supported over 100,000 women over the last year while indirectly helping millions more. Find out more on the Womankind website. Caroline Haworth, Chief Executive Officer, Womankind Worldwide. The Eyes Down Charity of the Year award is held annually and provides the winning charity with a host of digital marketing benefits. These include a free of charge website audit, two free consultation days, a 20% reduction in our fees for 12 months and support via our newsletter and social media channels. The Eyes Down Charity of the Year is open to small and medium sized charities and the winner is chosen based on the positive impact we feel we can make for the charity over the next 12 months. A stakeholder workshop to examine their target audiences, content, key user journeys, signposting and social media integration. A re-design of their information architecture which delivers for their key audiences. A a modern look and feel for the Womankind website. An open source content management system (CMS) so that Womankind administrators have full editorial control. A secure, standards-compliant and future-proof technology stack. Training for the Womankind team. A set of success metrics which can be user to measure the performance of the website. 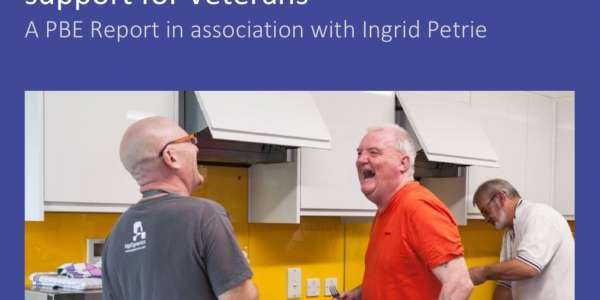 In 2018 we supported Veterans Aid as our Charity Of The Year. You can read more about how we helped in this blog article. We will be welcoming applications for the 2020 Charity Of The Year from September 2019. To be notified when applications are open, please sign up to our newsletter.